People who’ve been camping for a long time are particularly aware of how important it is to fix larger objects, such as an awning or a sun screen, so that they can withstand storms. For this, however, you need a special peg. 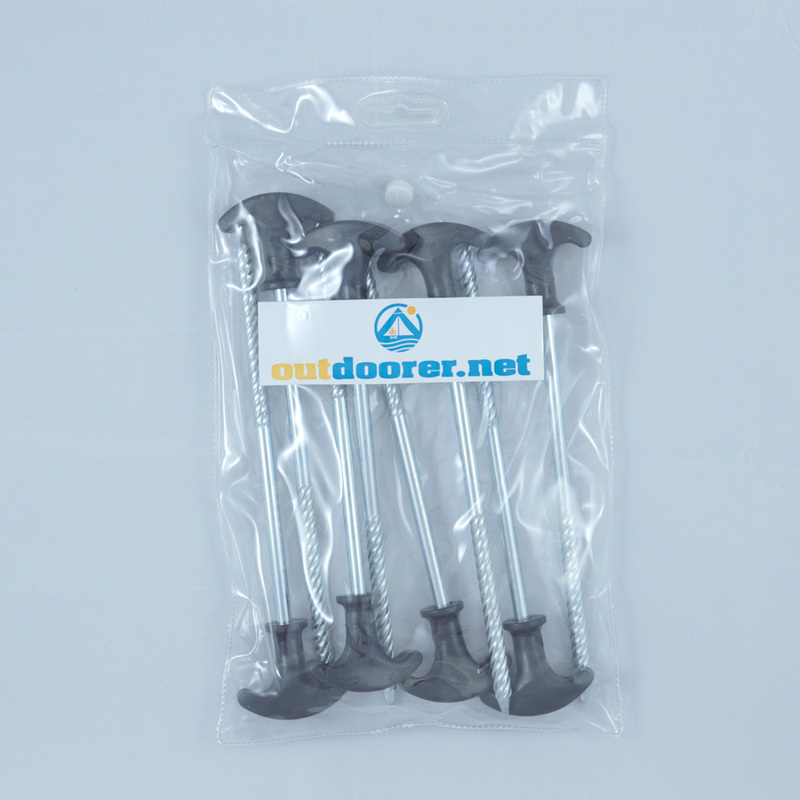 The Twister screw peg by Outdoorer is made exactly for that purpose and will ensure that your belongings are firmly secured even over the long term, because the Twister’s screw-thread design means that it can be deeply screwed into the ground, thus enabling it to secure enormous loads. You can buy the Twister at Amazon. Objects that are exposed to the forces of nature for a long time need to be fixed in a particularly reliable way. With the Twister screw peg by Outdoorer you can safely brace awnings, marquees, gazebos, sun screens, tarpaulins or boats. Even in windy conditions this screw peg keeps your property firmly on the ground! The specific purposes for which the Twister was designed require the special properties of this screw-in peg. 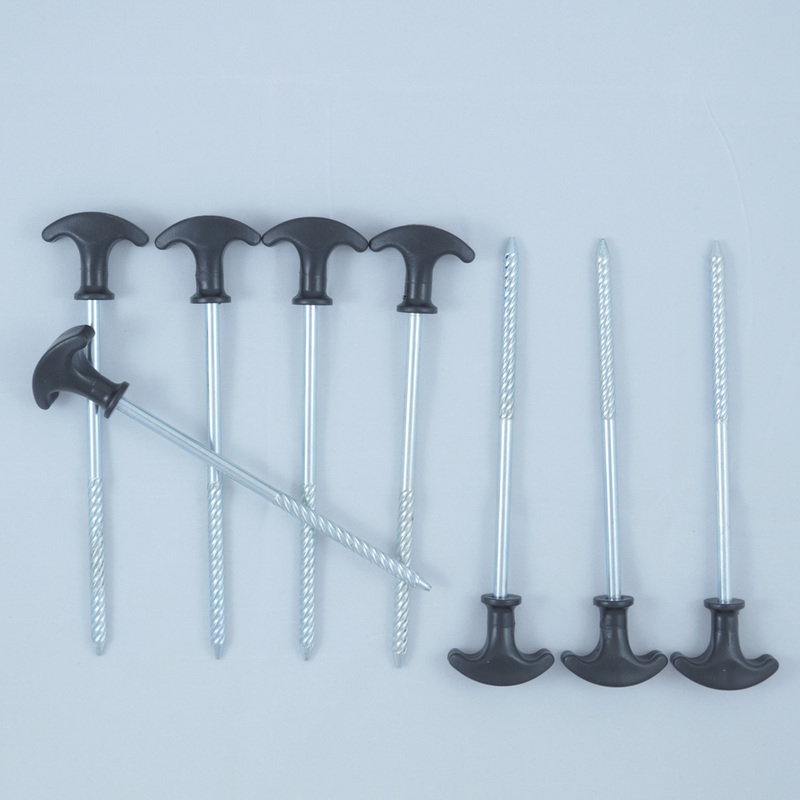 The peg’s extreme stability is due to the screw thread. As the Twister is 17 cm long, the threaded peg can be drilled deep into the ground and hold heavy loads fast. This screw peg is equipped with a wide plastic grip, which is also very solid. This plastic handle makes it easy to screw into the ground and of course makes it easy to remove when taking down the tent. The wide hooks are extremely handy, as these secure the guy lines very well especially in very windy conditions. The Twister by Outdoorer works best in medium to hard bases. These surfaces make it possible for the screw-thread peg, to anchor itself really firmly into the ground. But even stony ground or very dry soils are not a problem for this screw peg. If the base is extremely hard, we recommend pre-drilling holes with a cordless screwdriver, this makes it easier to screw in the peg. 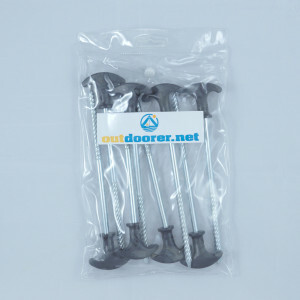 These screw-thread pegs are supplied in a pack of 8 pieces; this provides a sufficient number of pegs for you to pitch your tent and your awning very securely. So that the robust pegs do not stick into anything during transport, a resistant plastic case with clip closure is included, so you can always stow away the pegs safely. Where are the Twister screw-thread pegs available to buy? The Twister screw-thread pegs can be purchased via Amazon.